Smart summer decorating can make hot temperatures just inconvenience while brightening up and cooling down your living spaces. Wearing loose clothes, staying in the shade, and drinking plenty of water help lowering the temperature of your body. Using light paint colors for your roof, house exterior, and interiors, making sunshades with fabrics in pale colors and light home decorating with pale pastels, gray or blue colors assist in creating a pleasant environment and make rooms feel fresh, cool, and inviting. Lushome shares home staging tips and summer decorating ideas to keep your home nice and beautiful in high temperatures. Light colors are the most important element of soothing, relaxing, and cool summer decorating. 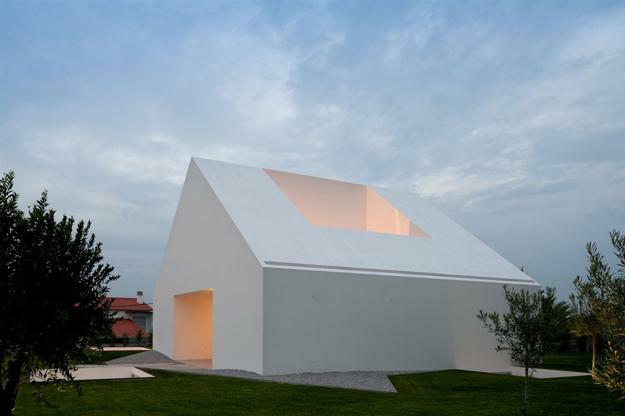 Canopies, pale pastels, and whites reflect the heat from the sun preventing the heat coming inside the house. Green plants bring moisture into rooms, create shade, and make interior decorating look fresh and lovely. It is better to avoid going outside when the sun is at its peak staying inside, in the shade in your yard or the house. 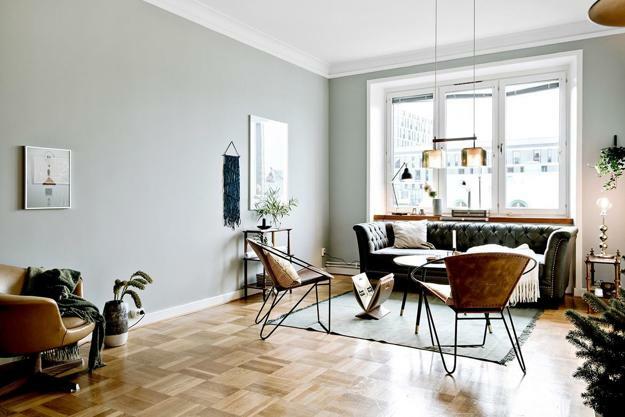 White paint colors for roofs and exterior walls, sunshades in light colors and tall leafy plants in your garden are practical and beautiful ideas for summer decorating and home staging to enhance a comfortable ambiance. White window shades, light bedding sets, natural textiles, light interior paints, and contemporary lighting fixtures keep the heat out of the house also. Stay calm and relax in the summer heat. An excited person increases the body temperature. Small changes, natural fabrics, and light interior colors are all you need to cool down your rooms and add a beautiful, fresh, and breezy feel to summer decorating. 1. Light paint colors, room furniture, and decor accessories keep rooms fresh and airy in hot summer. 2. 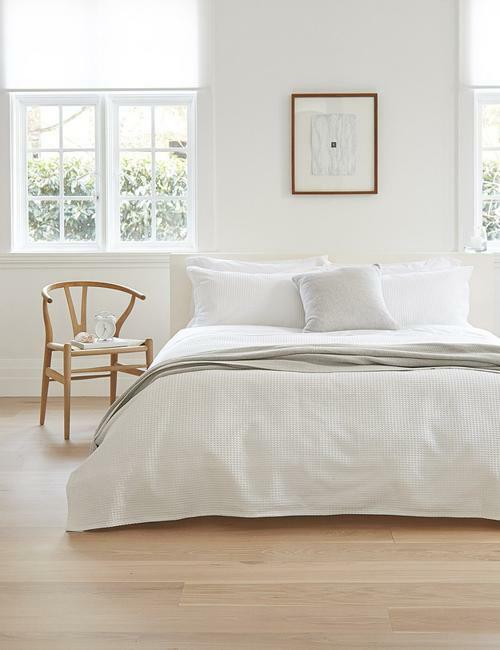 Light, natural linen fabrics add comfort and a breezy feel to summer home decorating. Blue colors are very effective for creating quiet and beautiful rooms and cooling down summer decorating ideas. 3. Remove floor carpets, use light, made of natural fibers floor rugs in bathrooms and bedrooms to create the clean, fresh, and healthy environment for dry summer months. 4. 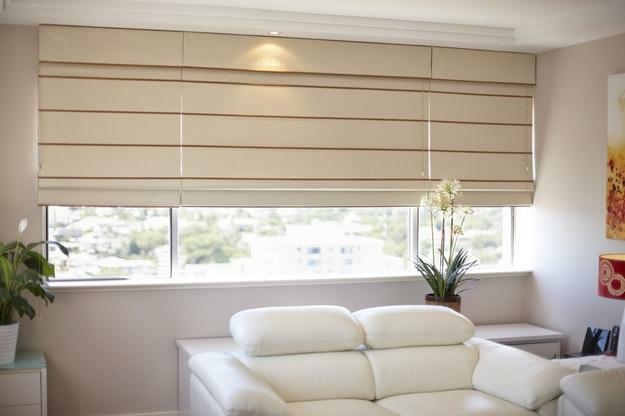 Use white blinds or tall houseplants to block sunlight and make your rooms cooler. 5. Add houseplants to interior decorating. 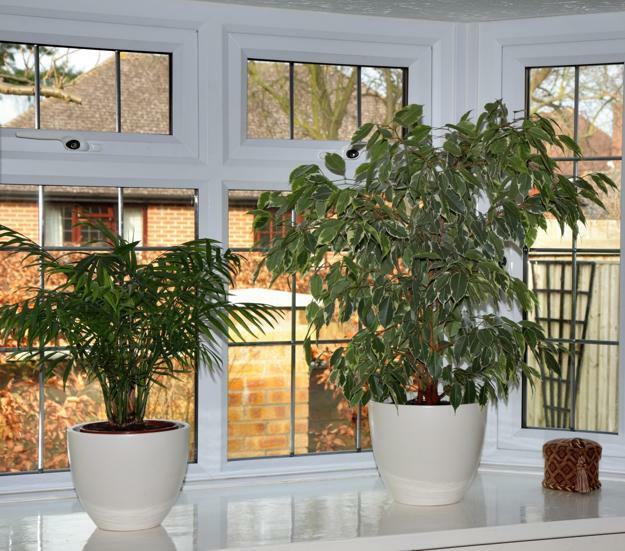 Tall plants create shade, soil humidifies the air and keep rooms comfortable in summer months. 6. 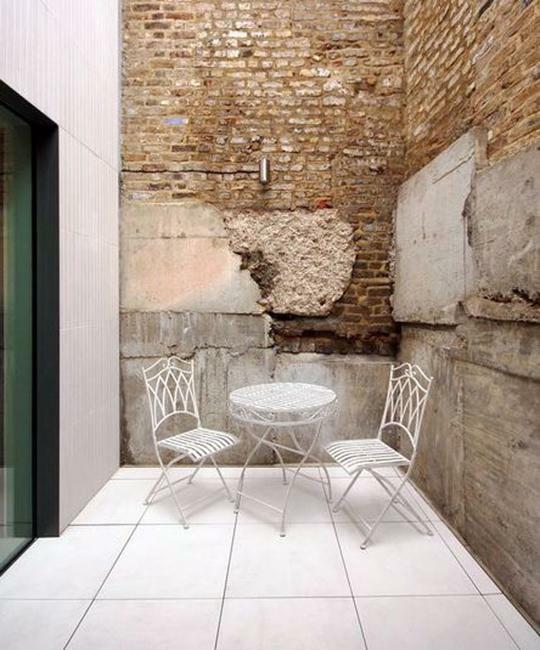 Declutter rooms to create a free corner for a fan. 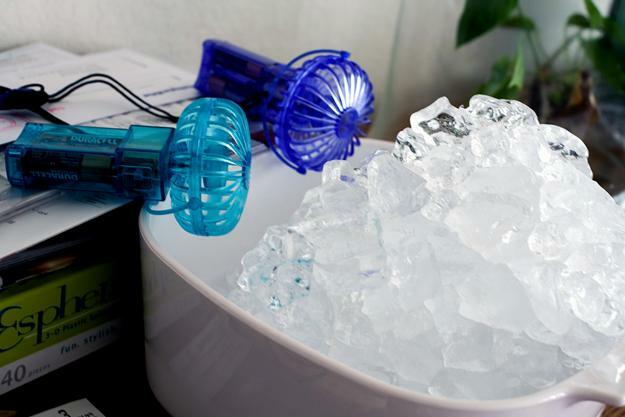 Use a small table with frozen water bottles or a bowl with ice to circulate the air. 7. Fluorescent bulbs decrease the heat at nights. 8. 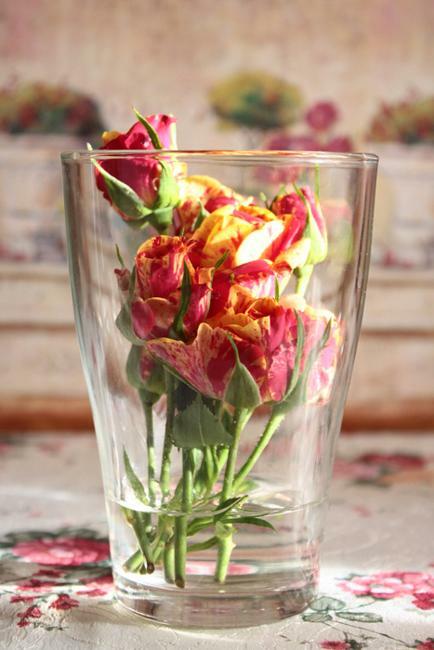 Create water table centerpieces to add moisture to the air inside your home and balance the environment in your rooms during dry and hot summer months. 9. Declutter areas around windows and doors to have easy access to open and close them for lowering the temperature inside your home. Get rid of clutter and create more spacious rooms with good air circulation. 10. 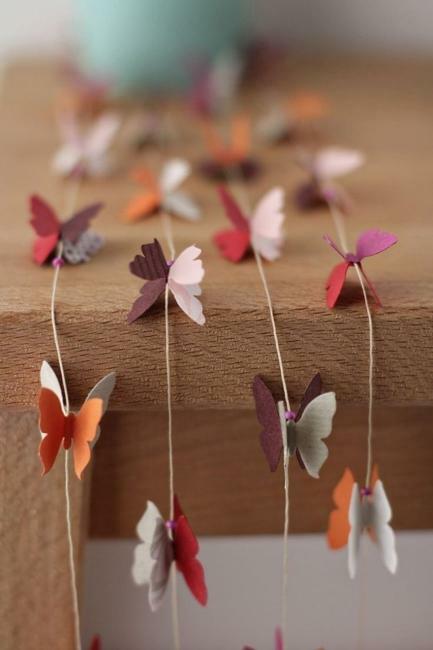 Add fun butterflies decorations to feel weightless and fresh. 11. 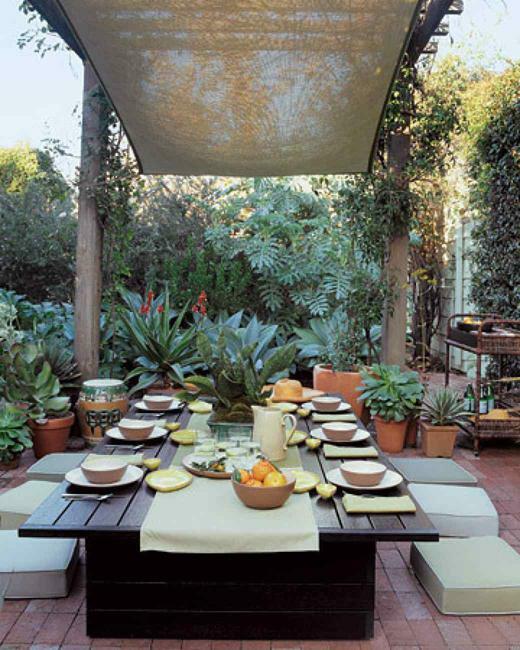 Light colors of outdoor fabrics and garden furniture help keep your living spaces pleasant. 12. 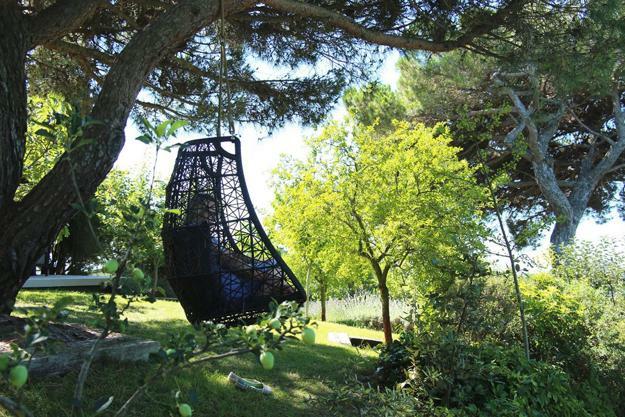 A hammock or a hanging bed is a fun idea for summer decorating. Surrounded by grass and plants, a comfortable outdoor seating area helps keep you cool in summer and brings more comfort into your yard also. 13. Whites and pale pastels for the roof, exterior walls, and outdoor home furnishings reflect more heat and keep buildings and yards cool in summer. 14. An outdoor shower is a money-saving and very efficient way to feel great in the summer heat. 15. Add DIY sun shades to the outdoor areas in front of your windows and doors. 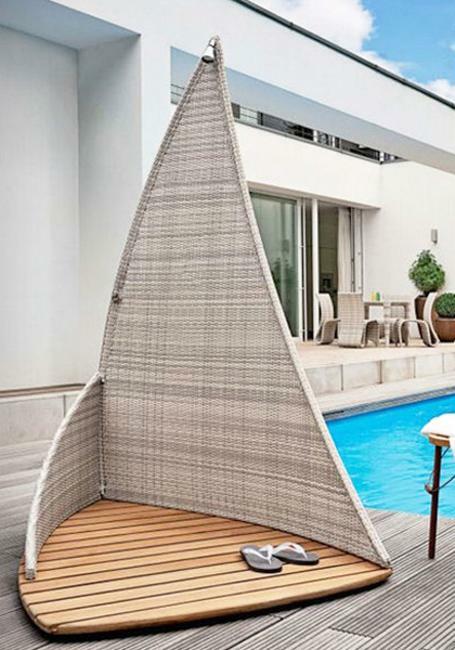 Cool down your balconies and terraces with functional sunshades made with attractive materials and fabrics in light colors.